Last year saw dozens of new routes from the Pittsburgh International Airport, including history-making charter flights to and from Shanghai, and progress on the long-simmering Terminal Modernization Program. But there were setbacks. Large carriers including Delta have reduced their international flights, and budget carriers like OneJet and WOW Air have closed altogether. Still, overall trends are positive: In January, the Allegheny County Airport Authority reported that they had seen 32 months of sustained passenger growth as of December 2018, with the total number of flyers for that month increasing by 3.4 percent. Today, the Airport boasts 66 direct flights to destinations like Los Angeles, Chicago and the Dominican Republic. Below, we offer a roundup of some of the new and upcoming routes available to Pittsburghers looking to get away. 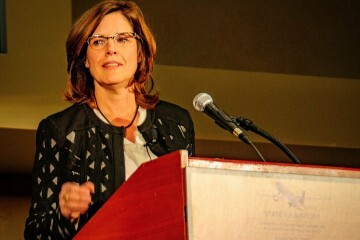 On April 2, Airport Authority leaders and County officials celebrated a homecoming as British Airways brought flights to London’s Heathrow Airport back to Pittsburgh after a 20-year absence. The inaugural flight was greeted Tuesday night with speeches from County Executive Rich Fitzgerald and a performance from local band Lovebettie. Planes will depart Pittsburgh on Tuesdays, Wednesdays, Fridays and Sundays at 9:50 p.m. and arrive at 10:25 a.m. the next day in London. The London to Pittsburgh routes run on the same days, departing at 4:10 p.m and arriving in Pittsburgh at 7:30 p.m. local time. Thankfully, Pittsburgh still has some budget options left. Allegiant Air, which already offers direct flights to cities like Austin and New Orleans, announced on Feb. 12 that they will expand services beginning May 17 with flights from Pittsburgh to Knoxville, Tennessee. 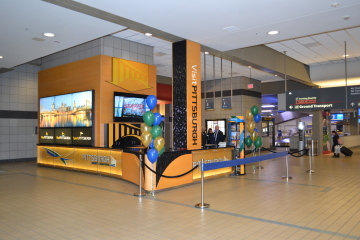 While departure times vary slightly from week to week, the budget carrier will have flights out of Pittsburgh every Monday and Friday afternoon around 2-3 p.m.
As Pittsburgh has emerged on the cutting edge of advanced research and technology, it’s meant greater connections with other knowledge hubs around the nation. Due to popular demand, Pittsburghers will have easy access to Silicon Valley and the so-called “research triangle” comprising Duke, the University of North Carolina at Chapel Hill and North Carolina State University. Delta will begin daily nonstop service to Raleigh-Durham on June 8, while United Airlines recently announced an extension of their seasonal flights to San Francisco into the fall, giving passengers two flights a day to choose from. 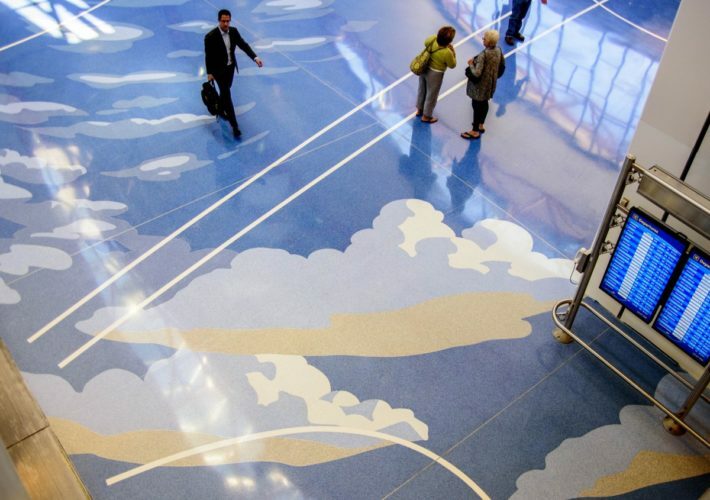 The Raleigh-Durham flights leave at 8:38 a.m., while the SF flights leave at 7 a.m. and 7 p.m. each weekday, with only the morning flight leaving on Saturday and Sunday. And stay tuned for further word on upcoming direct charter flights to China, following last year’s charter flights to Shanghai. We’re told no firm plans are in place for the next charter flight, but something may be announced in the near future.